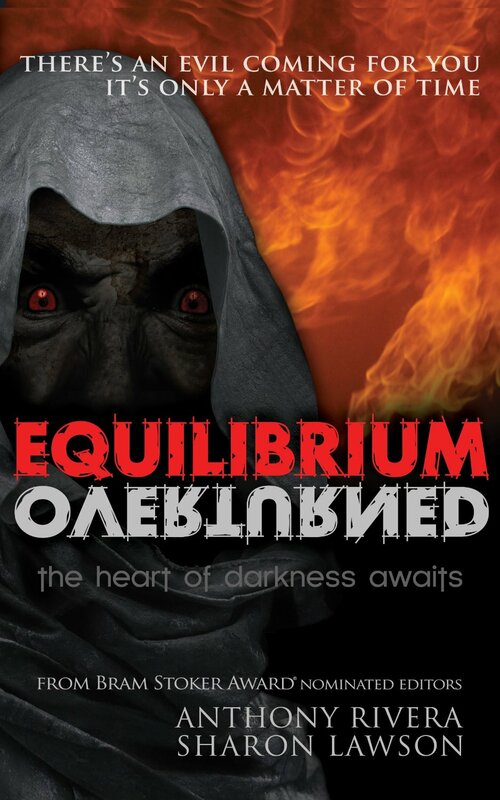 Equilibrium Overturned is the newest anthology from the stellar team at Grey Matter Press and focuses on stories that are a blend of horror, science fiction and dark fantasy, much in the same spirit of their previous anthology Ominous Realities. I am a huge fan of all of Grey Matter Press’ anthologies and I always look forward to their projects that push the boundaries of traditional horror. Equilibrium Overturned features excellent stories from a few familiar faces from Grey Matter Press’ other anthologies along with writers appearing for the first time. While choosing a favorite from this anthology is almost impossible, the following stories were the ones that really stuck with me. The anthology gets off to a gripping start with Jeff Hemenway’s “The Final Testimony of Molly Ryder”, which blends elements of the horror, science fiction and crime genres into a wildly original story. The story focuses on a man named Kurtis Arlington, a Linkguide for the government’s Sandman program. The program is a sort of new punishment for criminals where they are drugged into a state deeper than a coma and imprisoned in nuspace, sort of like a prison for the mind. Arlington has been tasked with interviewing notorious serial killer Bruce Kristoff to try and give closure to the family of one of his victims. What follows is a dangerous game of cat and mouse, with Kristoff and Arlington trading memories over their psylink and hurtling toward an explosive conclusion. I loved this story’s unique subject matter and Hemenway’s superb ability to keep the reader guessing before finally unveiling a twist that I definitely didn’t see coming! “Martial Law” by JG Faherty – The story has a bleak opening as we learn right away that the end of the world has already come and gone. While telling the reader right away that everything is most certainly NOT okay may seem like it would spoil the story, the suspense comes from trying to figure out just what went wrong and what it means for humanity. The story takes place in a regular small town, the kind where people feel safe and comfortable. That false sense of security is what makes the events that unfold on Main Street that day truly horrifying. Even when the true nature of what is what is happening is revealed and it seems everything is, Faherty takes a left turn and puts a fresh spin on a popular horror creature. “Through The Ghostlands” by Rose Blackthorn is an atmospheric post-apocalyptic that details the struggle of three survivors of a global catastrophe as they search a desolate landscape with the hope of finding other survivors. While their search has proved fruitless so far, it slowly becomes apparent that they are not truly alone. Blackthorn does an excellent job portraying the desperation and hopelessness that the characters face and the last few pages of the story definitely gave me the chills! I am a big fan of post-apocalyptic stories and this one is definitely one of my favorites. While it works well as a stand-alone short story, I hope that Blackthorn continues the story of the Ghostlands because I would love to learn more about the characters and the outcome of their journey! 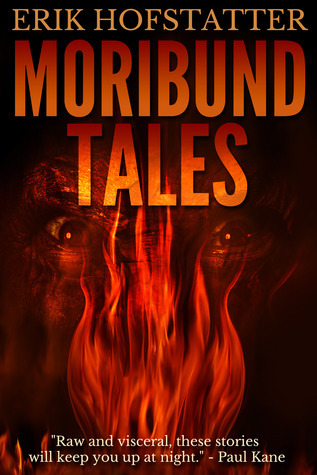 “Wombie” by Martin Slag – Small-town veternatrian Dr. Ethan Sarvas is baffled when a little girl and her mother bring in an exotic creature known as “Wombie”, who is suffering from an unknown ailment. Wombie was given to the little girl by her uncle, Robert Frugal, who was sent to a mental health facility after crafting an unusual crop circle pattern in a local wheat field. After examining Wombie, it becomes clear to Dr. Sarvas that Robbie may be the only one with the answers he needs. However, the more information that Dr. Sarvas uncovers, he quickly realizes that Wombie’s condition is far from normal. This story has plenty of truly creepy scenes and I am definitely looking forward to reading more of Slag’s work. Long time readers of the Horror Bookshelf already know that I am a huge history buff and that is one of the reasons I was drawn to Sean Eads’ story, “The Alamo Incident: From The Chronicle of Timaeus Shields”. The story takes place around the time of the Battle of the Alamo, one of the most well-known events in American history. The story focuses on Timaeus Shields, a mercenary for President Andrew Jackson who requests he take on a special assignment. President Jackson gives Timaeus a package containing numerous documents and a shoe that seems to have been melted by some unknown substance. Timaeus begins sorting through the documents which seem to be a random assortment of letters detailing rather mundane events that usually do not coincide with Timaeus’ work. However, when he reads a letter that details a mysterious force that has been slaughtering the troops at the Alamo, he sets off on a quest to discover the truth. Aside from the historical aspect, the aspect of the story that I enjoyed the most was the originality of the plot and the force that was responsible for killing the soldiers. I don’t want to spoil it for those who have yet to read Equilibrium Overturned, but rest assured that the big reveal of the story will come as a surprise. 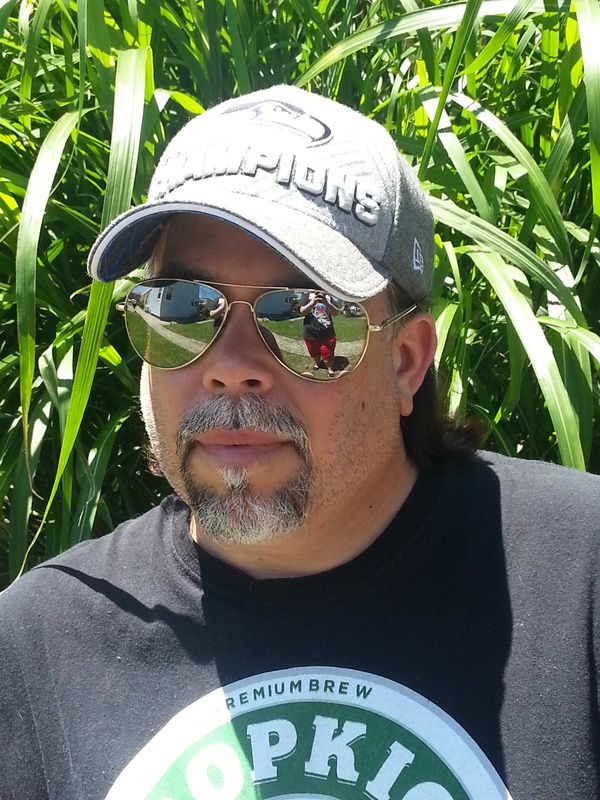 Equilibrium Overturned closes with “Sunrise” by Tony Knighton, a story about a father who must navigate through a dangerous city ravaged by an environmental disaster in order to save his son’s life. Despite its dystopian setting, “Sunrise” is a realistic story that captures the lengths people will go to in order to try to save the people they care about. This story really struck a chord with me, especially when I reached the story’s emotionally powerful ending. I have been raving about Grey Matter Press’ books for a while now on The Horror Bookshelf and that trend will continue with Equilibrium Overturned. They are having a huge year so far with all the early praise for John F.D. Taff’s incredible The End In All Beginnings and I have a feeling that momentum will continue with the release of Equilibrium Overturned. Grey Matter Press is hands down one of the best publishers of dark fiction and the quality of their books makes each one of them an absolute must-own. I have been fascinated with unexplained phenomena of all kinds for as long as I can remember. It started when I was younger, checking out as many books as I could from the library and continuing well into adulthood where I can honestly admit to spending countless hours trawling Wikipedia pages and falling down the rabbit hole of links contained within each article on things like UFO’s, hauntings, “The Bloop” and various cryptids. I honestly don’t know where this fascination came from, but I think these things continue to interest me because we currently live in an age where almost everything mysterious has been debunked and where is the fun in that? Sometimes it is good to suspend your disbelief for a while and hold onto whatever little mysteries are still left. 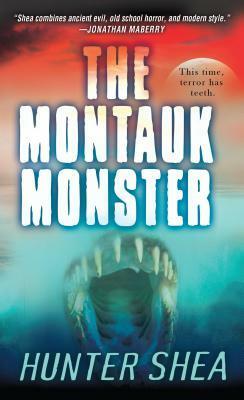 That being said, when I first heard about Hunter Shea’s first thriller novel and that it would be based on the modern cryptid The Montauk Monster, I was instantly hooked and it made my list of most anticipated summer novels based on the strength of the synopsis alone. Now that I have had a chance to read The Montauk Monster, I can definitely say it has been worth the wait! Shea wastes no time in grabbing the readers’ attention as we are introduced to the horrifying creatures right off the bat. Two Montauk residents head out to Shadmoor State Park to be alone and are confronted by a horrifying creature that quickly attacks them before they even know what is going on. Suffolk County Police Officer Gray Dalton gets a call from dispatch reporting bodies on the beach and when he arrives, he sees a scene of extreme carnage that defies explanation. The police force begin to suspect that the deaths were caused by some sort of animal, and this theory continues to become more plausible as the residents of Montauk begin calling in reports of mysterious animals hanging around their property and even trying to attack them. However, as Dalton begins his investigation and the sightings quickly grow more dangerous, it becomes apparent that this is not the work of an ordinary animal. This is confirmed when Dalton sees the creature with his own eyes after responding to one of the most vicious encounters yet and Montauk’s animal control officer, Anita Banks, is attacked by the creatures. What follows is a descent into chaos where the creatures grow bolder by the day and the town is plummeted into chaos and confusion. Soon, every federal agency imaginable is descending on Montauk in order to control the situation, but it may be too late. The biggest strength of this novel, in my opinion, is Shea’s creation of the monsters. Their origins have some basis in the real world, but they pretty much stop with the creepy photo of the carcass that washed up on the shores of Montauk back in 2008. Shea uses these factual bits of evidence as a starting point and fleshes them out with a pretty creative and plausible back story to bring these terrifying creatures to life. The creatures are described as having a large, muscular body similar to a dog or wolf, a face that is a cross between an eagle and a pig and retractable claws. While Shea’s portrayal of the creatures are frightening enough based on their physical description, the creatures themselves don’t hold a candle to the deadly virus they carry in their systems. I don’t want to spoil it for those who have not read the novel, but let me just say the descriptions of the virus’ effects are truly horrific and definitely not for the squeamish! The Montauk Monster is a white-knuckled thrill ride of a novel and one of the year’s best summer reads. If you are a horror fan who has an interest in cryptids, you will definitely want to add this book to your collection! Be sure to check out the other stops on Hunter’s blog tour for some other reviews and cool features!